Clean Image undertakes cleaning projects for all types of industrial buildings from small units to warehouse facilities. Our services cover everything from short-term assignments following refurbishment or building work to long term contracts requiring daily cleaning or maintenance. Our out-of-hours operation also enables us to offer a range of professional security services as well as responding to call outs for emergency clean-ups at any time of the day or night. Our teams are fully trained, fully insured and equipped with the right products for each cleaning assignment. As shop fitting specialists for major retailers such as Currys and Poundland, it is important to us and our clients that the premises are cleaned to the highest specifications prior to opening to the public. 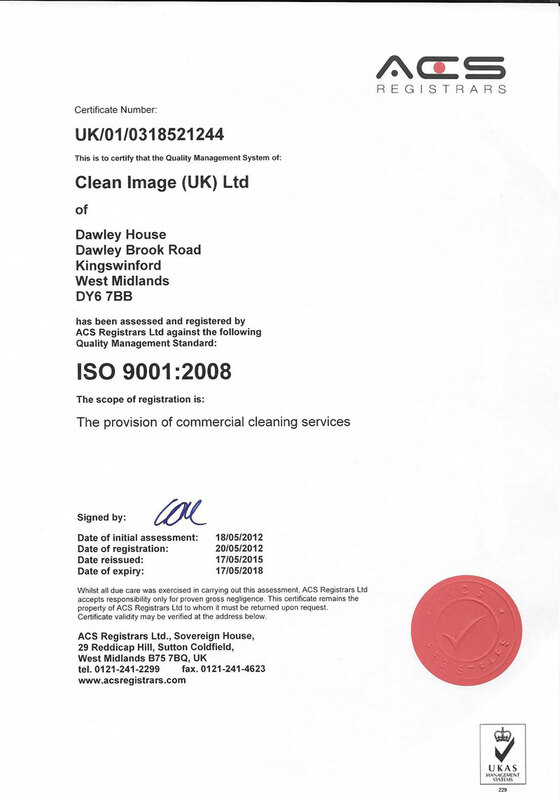 Clean Image provide us with an exceptionally high standard of building and sparkle clean and we have continued to use their reliable and professional services for the last 10 years and will continue to do so. Our flexible service enables us to work closely with building contractors or shop fitters. As your project nears completion we will ensure that each site is clean, tidy and ready for inspection prior to snagging. Our sparkle clean service is an essential requirement before any handover. Our thorough, professional clean is the finishing touch that will enhance refurbishments, restorations or new builds and ensures that each environment creates a great impression on the client. Health and safety is a number one priority at Clean Image. All our operatives are CSCS card holders and we use only certified access equipment and professional cleaning products. All of our high level operatives are fully IPAF trained and experienced in dealing with all types of difficult access situations. Clean Image can provide comprehensive, professional cleaning services for warehousing of all sizes and all types of usage. Our efficient, flexible approach ensures minimal downtime during shutdown periods or prior to new tenancies. Our services encompass everything from floor cleaning and remarking to the cleaning of production lines, machinery and storage equipment. High level cleaning will dramatically improve the appearance of your premises as well as providing safe working environment for your employees. Clean interiors help to improve air quality, potentially improving the health and performance of your workforce. Our high level services include the cleaning of lights, skylights, windows and guttering as well as external cladding and roofing. Clean Image understands that following a disaster of any kind you want to get your business fully operational as quickly and efficiently as possible. We will respond rapidly to your call and send an experienced specialist to assess your individual requirements. 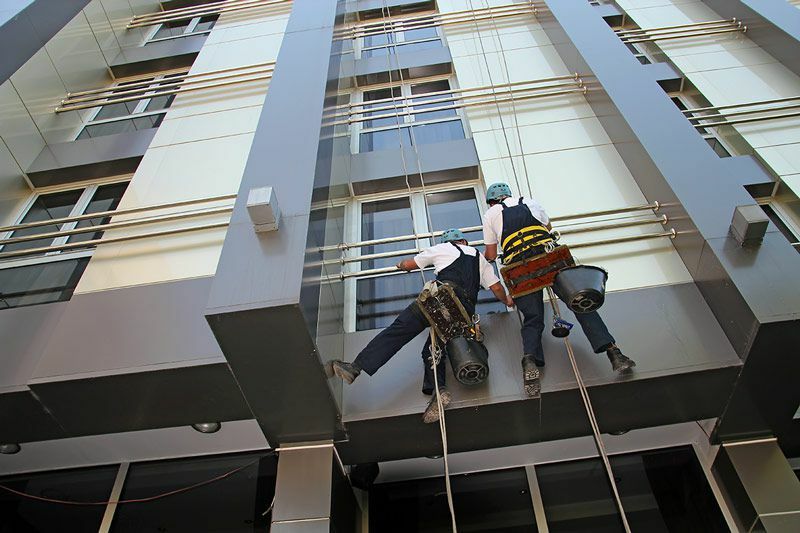 We have teams of fully trained operatives equipped with the latest industrial cleaning machines. Our deep cleaning services cover everything from floors and cladding to production line equipment, restoring the sparkle to your premises and providing your employees with a healthy, safe and pleasing environment in which to work. We will work closely with you to establish a detailed daily routine that ensures all of your working environments are kept clean and tidy on a continual basis. Our well-motivated, professional staff provide a friendly service and are trained to give excellent results with the minimum of disruption to your day-to-day operation. 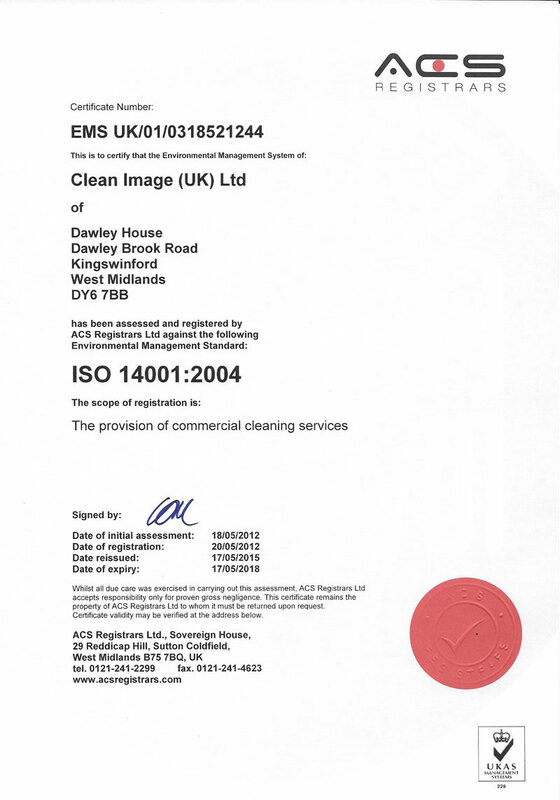 Clean Image works closely with clients to evaluate their waste management requirements and provide solutions that help businesses of all kinds to remove waste efficiently, minimise their carbon footprint and raise levels of corporate social responsibility. Clean Image is able to respond rapidly to keep your business running safely and efficiently in winter weather. We can grit private paths, access areas and car parks to enable staff and visitors to continue using your facilities with the minimum of disruption. In the event of snow we can quickly deploy teams with professional equipment to ensure that access and day-to-day operation are restored as soon as possible. If left unchecked litter can build up around your premises creating a poor impression as well as potentially developing a health hazard. We can organise single visits to give your grounds a much needed spring clean or we can attend on a regular basis to ensure that outdoor areas are kept clean and tidy at all times. Our specialised chewing gum removal machine uses a super heated steam jet that removes the gum at low pressure, causing no negative impact on surfaces. Our graffiti removal we use various kinds specialist techniques approved by councils and eco-friendly products minimising the impact on the environment. Hygiene Services are vital to the efficient running of any business. Keeping work areas, toilets, washrooms and kitchens clean not only creates a more pleasant working environment, it helps to minimise the risk of illnesses and infections and therefore helps to reduce the number of days lost through sickness. Maintaining a hygienic environment means not only thorough, professional cleaning of common areas with the right equipment it also requires the establishment of good hygiene practices throughout the organisation. We can help to ensure these practices are adhered to by providing and maintaining suitable products such as towel dispensers, hand cleaning products, hand dryers, sanitisers and feminine hygiene units.